Recycled cardboard table is one of greatest remedies to cater your several needs. Cardboard seems to be popping up everywhere. This is supposed to be such a strong and durable material as well. As we all know it is made from recycled paper board, and it is itself recyclable when you are planning to do some art activities eagerly. It has relatively longer life span, and is also assembled easily. It comes in a flat pack and I hold the opinion that it is even softer and friendlier than many other common materials like wood or plastic. The other positive aspect is that it is also very cheap cost wise. 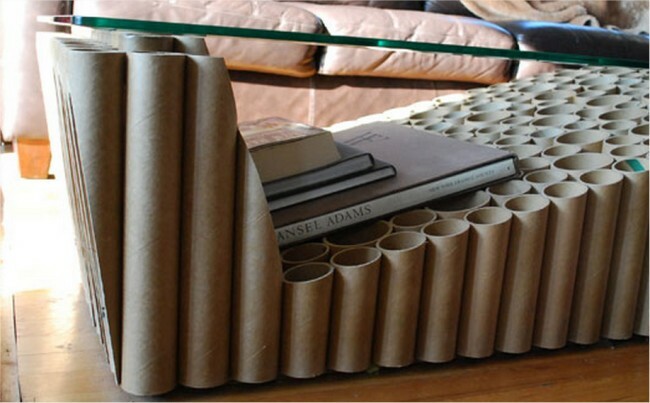 So it would be a great idea to make recycled cardboard table. Not only it would quench the thirst of art activity, but would also cater your several needs. Now days cardboard is widely being used in furniture and restaurants. There are many restaurants and hotels which are encouraging these recycled furniture items. There are a few examples where almost everything is made of recycled cardboard including bookcases, sofas, chairs and even the dining tables are made from recycled cardboard. 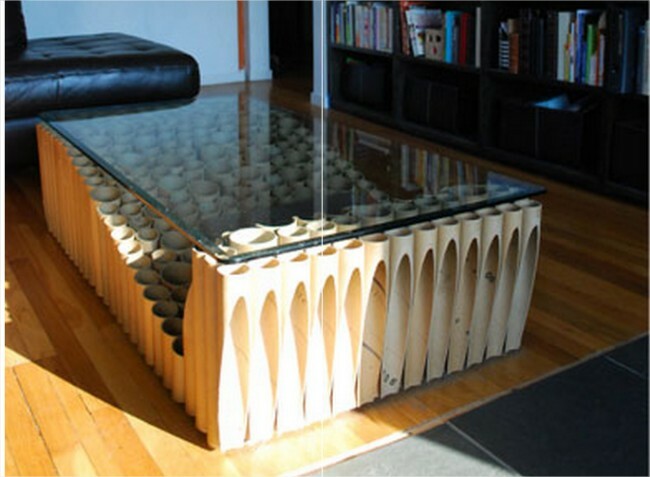 So it is really an amazing idea to make stylish table with recycled cardboard. It would be a really great addition to your room interior and furnishing. For instance in our new project, you can see a great cardboard recycled table. These are actually the empty cardboard rolls which were carrying thread earlier probably. These cardboard roll are cut in a beautiful sequence and covered with a thick glass top making it such a master piece of art crafts. It also has sufficient space beneath it to carry some books or other accessories.